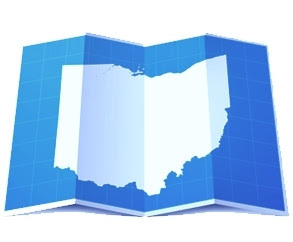 A recent decision by Ohio’s Seventh District Court of Appeals (the Court) regarding whether a real estate broker’s license is required to be compensated for services related to gas and oil leases has been appealed to the Ohio Supreme Court. On February 17, 2017, the Court issued its decision in Dundics v. Erie Petroleum Corp., 2017-Ohio-640, upholding the Mahoning County Court of Common Pleas’ dismissal of the complaint by the plaintiff-appellants Thomas Dundics and IBIS Land Group, Ltd. (Dundics) against Erie Petroleum Corporation and Bruce Broker (Erie Petroleum). Dundics alleged that they had an agreement with Erie Petroleum in which Dundics agreed to “find property owners, negotiate gas leases and work with Erie Petroleum to obtain executed gas leases”. Their compensation was alleged to be $10.00 for each acre leased to Appellees plus a 1% working interest in all wells subsequently placed on those leased acres. Dundics contended that they performed such services and received some compensation but not all that they should have received; that Erie Petroleum may have sold some of the gas leases and refused to provide an accounting or pay monies that Dundics felt were still due to them. Dundics also claimed that oil and gas leases are not real estate and that they did not need to be licensed as real estate brokers to perform the services they provided to Erie Petroleum. (2) Offers, attempts, or agrees to negotiate the sale, exchange, purchase, rental, or leasing of any real estate;…. "Real estate" includes leaseholds as well as any and every interest or estate in land situated in this state, whether corporeal or incorporeal, whether freehold or nonfreehold, and the improvements on the land, but does not include cemetery interment rights. Erie Petroleum presented several arguments for dismissal, one critical argument being that the services provided by Dundics fell under R.C. 4735.21 and therefore Dundics didn’t meet its burden by alleging and proving they were licensed real estate brokers; further arguing that oil and gas rights are real estate under Ohio law and that recent decisions (including one by the Ohio Supreme Court in Chesapeake Exploration LLC., v. Buell, 144 Ohio St.3d 490, 2015-Ohio 4551, 45 N.E.3d 185) (the Buell decision) interpreting the nature of these rights support this conclusion. The trial court agreed with Erie Petroleum and dismissed Dundics’ case. Dundics timely appealed to the Court. In upholding the trial court’s dismissal, the Court acknowledged the existence of two prior decisions by courts in Ohio on the foregoing subject and the courts in each of those decisions reached a different conclusion. In Wellington Resource Group, LLC v. Beck Energy Corp., 975 F.Supp.2d 833 (S.D. Ohio 2013), the court concluded that parties who engage in brokering oil and gas leases are not subject to R.C. 3735.21. The Court, taking into consideration the Ohio Supreme Court’s reasoning in the Buell decision and the broad definition of ‘real estate’ in R.C. 4735.01(B), determined that “whether described as licenses, leases, fee simple determinable estates, or something else, any instrument affecting oil and gas necessarily affects the surface rights as well, either in terms of the right to access the surface for transportation, drilling, etc., or because it affects the value of the surface rights, it falls under the definition of ‘real estate.’” It concluded that to engage in any of the activities alleged by Dundics in their claim for compensation, they must have a real estate brokers license. Their failure to be so licensed doomed their claim. We now have two court decisions holding that a real estate broker’s license is required to engage in the brokering of gas and oil leases, and one court that does not agree. Dundics has appealed the Court’s decision to the Ohio Supreme Court. We will have to wait and see if the higher court accepts the appeal.